"I wish I knew Graphiq 10 months ago, then I wouldn't have wasted a substantial amount of money and time on a traditional design agency without the right skill set. Through Graphiq we collaborated with a designer that delivered beyond expectations. Our app is now intuitive for users and match our brand identity." Pundit is an app for sports fans that enable them to socialize while watching the games. Pundit needed a redesign of their app to be more user friendly and drive more engagement. 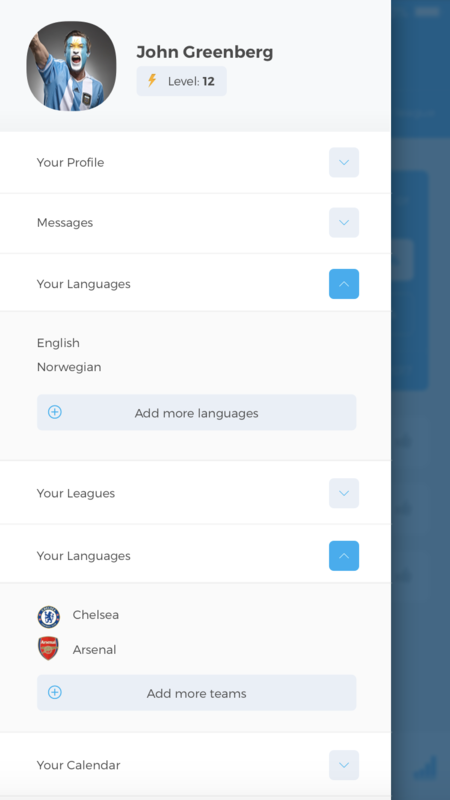 They wanted to keep the current blue and white color scheme, but make it feel more modern and aligned with best practice app design. Here's a before and after shot of the profile page. In addition to a visual upgrade the designer also neatly got way more features into the same view without the need to navigate through buttons "Settings" and "My Events" as you see on the Before-shot. These kind of user experience upgrades where done all over the app making the total user experience drastically enhanced.